Dewa ( balicarservices ) explore East Java to improved more service for the costumer of balicarservices to visiting east java. Place to visit is one of jewel in East Java Ijen Crater and mouth Bromo have attracted travelers from all over the world, can be reach the place from Denpasar or Surabaya by land. From Sanskrit / Old Javanese: Brahma, one of the main Hindu gods, a volcano is still active and most famous as a tourist attraction in East Java. Mount Bromo become attractive because of its status as the volcano is still active. Bromo has a height of 2392 meters above sea level is located in four regions, namely Probolinggo, Pasuruan, Lumajang, and Malang. Mount Bromo mesh body shape between valley and canyon with the caldera or the sea sand covering some 10 square kilometers. 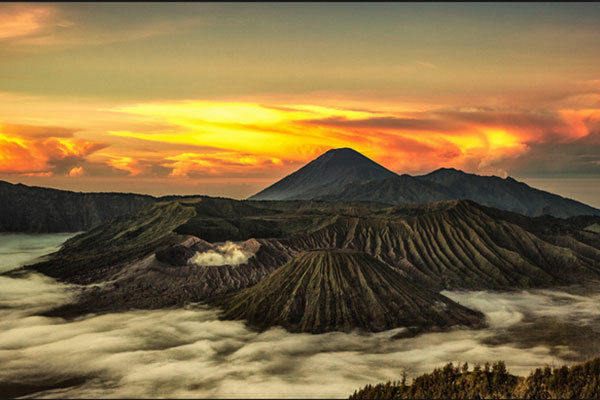 Mount Bromo has a crater with a diameter of ± 800 feet (north-south) and ± 600 meters (east-west). While the danger area of a circle with a radius of 4 km from the central crater of Bromo. 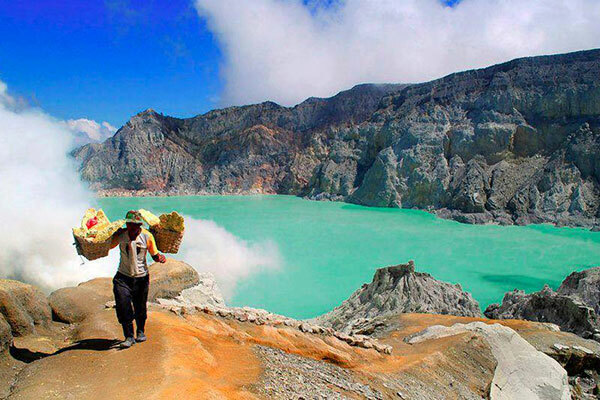 Ijen Crater is the biggest crater lake in Java. The sulfur crater lake lies between a natural dams of deeply etched rock. It is 200 meters deep and contains about 36 million cubic meters of steaming acid water, shrouded in a smelling swirling sulfur cloud. Inside the crater the different color and size of stones are found. Indeed the crater of Ijen is beautiful garden of stone as well. The view of sulfur miners who climb and go down to the crater is also amazing. A man puts about 70 kg of yellowish stone in to his basket, before he descends the mountain slope to sell his load, carrying the same basket, going in the same direction, digging the same mineral. It is the natural picture that can be seen everyday. The principal attraction at Ijen is the large Crater Lake that has much sulfur, which lies hidden between sheer walls of deeply furrowed rock at more than 200 meters. 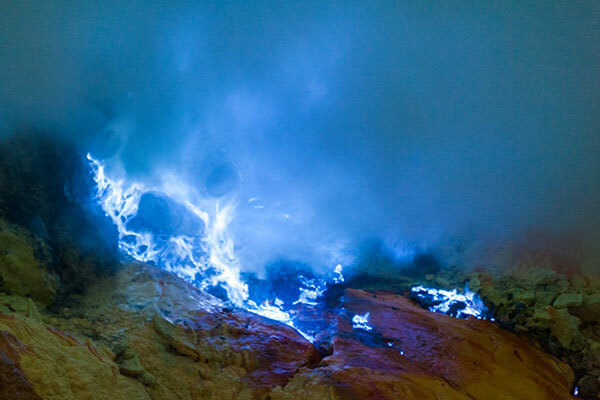 The Ijen crater itself lies at approximately 2,300 meters above sea level. Bali – Bromo – Ijen – Bali (3D/2N). Depart in the morning heading to west bali, bali sea crossing by ferry about 45 minutes, and continue the journey to Bromo, we will stop for lunch in the town of Situbondo or pasir putih. 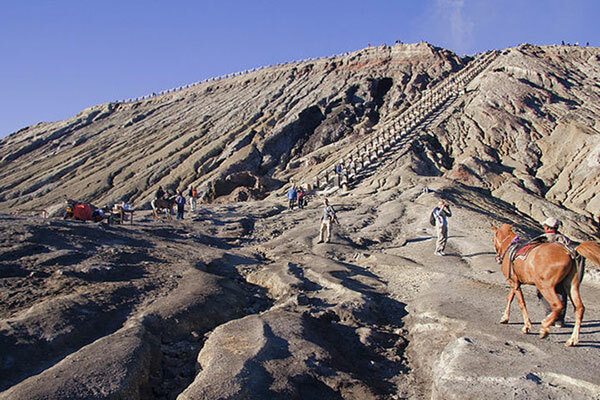 The trip will take 9-10 hours to Bromo. The next day in the morning at 4 am, taking by jeep 4WD to bromo enjoy the beautiful scenery of the sunrise from the top of the mountain. After climbing, back to the hotel for breakfast and continue the journey to Mount Ijen. The trip took 5 hours through tropical forests and coffee plantations along the journey from the city Bondowoso. 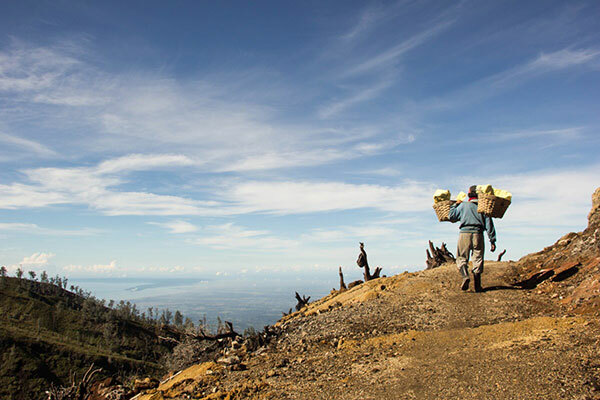 The next day in the morning climb to the summit crater of Ijen see the sunrise and along the road you will see local residents carrying sulfur from top to bottom with their weight – 70 kilos respectively. After climbing and breakfast will continue your journey through the city Banyuwangi to bali and across the sea by ferry. Depart in the morning to west Bali and crossing by ferry, continuing the journey to bromo from ketapang and we will stop at city Situbondo for lunch. Reaching hotel in bromo and free time for you to enjoy the village life style. Next morning the hotel staff will do wake up call at 4 AM to do climb mouth bromo. From you hotel will take jeep to mouth bromo. After enjoye the sunrise back to hotel and have a breakfast, preparing to be back the journey to Bali. Depart in morning to west bali and crossing by ferry to the land of java. Continuing the journey to Ijen via Banyuwangi city, we will stop here for lunch. Reach the hotel in Ijen and have a relaxing around the village and visiting the coffee factory. Next morning will take you to the Paltuding starting point for climbing Ijen crater, along the way to the top you will enjoy the magnificent view and see the local resident carrying the sulfur down to the bottom. After will continuing the journey to Bali via Banyuwangi. Dewa also do pick up from Surabaya airport to do Bromo – Ijen – Bali tour and if you would spend more day in each place Bromo and Ijen to have more time to enjoy in each place, Dewa will happy to do the service. Do create your own itinerary between east java and bali. Or any of your expenses.